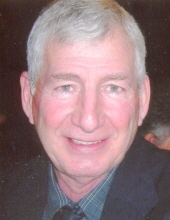 Thomas G. Cancilla, age 71, of Butler, passed away on Wednesday, February 6, 2019 while under the care of VNA Inpatient Hospice in Butler. Born April 30, 1947 in Westview, he was the son of the late Sam Cancilla and Mary Fiore Cancilla. Tom was a member of the America Legion Post #778 in Lyndora. He was a veteran of U.S. Army and served during the Vietnam War. He was an owner and partner in Cancilla Brothers, Inc. He enjoyed traveling, camping, and the occasional fishing trip. Above all, he enjoyed spending time with family and friends. He will be dearly missed and fondly remembered. Tom leaves behind to cherish his memory his son, Jeffrey Cancilla and his fiancé, Jennifer, of Butler; his siblings, Rich (Jan) Cancilla, Fred Cancilla, Mike (Val) Cancilla, Ron (Connie) Cancilla, Bob (Linda) Cancilla, Chichi Schran, Keitha (Dave) Waddell, Pat (Joe) Meier, and Donna (Sam) Anatra; and numerous nieces and nephews. In addition his parents, Tom was preceded in death by his beloved wife, Janice Ann McQuillian Cancilla; his daughter, Cyndi Cancilla; and a brother, Jim Cancilla. A reception in honor of Tom will be held at 11 AM on Saturday, February 23, 2019 at the American Legion Post #778, 150 Legion Memorial Ln., Butler, PA 16001. In lieu of flowers, donations may be made in Tom’s memory to VNA Inpatient Hospice, 115 Technology Dr., Butler, PA 16001. Arrangements have been entrusted to Boylan Funeral Home & Cremation Center of Connoquenessing Twp., 856 Evans City Rd., Renfrew, PA 16053. To send flowers or a remembrance gift to the family of Thomas "Tom" G. Cancilla, please visit our Tribute Store. "Email Address" would like to share the life celebration of Thomas "Tom" G. Cancilla. Click on the "link" to go to share a favorite memory or leave a condolence message for the family.